Currently viewing the category: "Skil"
We’ve got a box full of various gimmicks we receive from manufacturers, ranging from the ubiquitous screwdriver-based bottle opener to the AutoTape. But this is the first powered corkscrew we’ve ever seen, so we thought we’d share. We’d tell you all about the specs right here in the article lead, too, but hey — it’s a Skil iXO driver, just like any other Skil iXO. The “magic” (such that it is) happens in the accessory the ships with it. Clearly inspired by Alton Brown’s cordless drill-powered pepper grinder (inset), Skil differentiates the 2354-10 “powered corkscrew” from the 2354-01 “iXO driver” by including what appears to be a standard corkscrew mounted in a cage and fitted with a hex-head to plug right into the driver. It’s A Cordless Screwdriver. Wait, It’s A Flashlight. 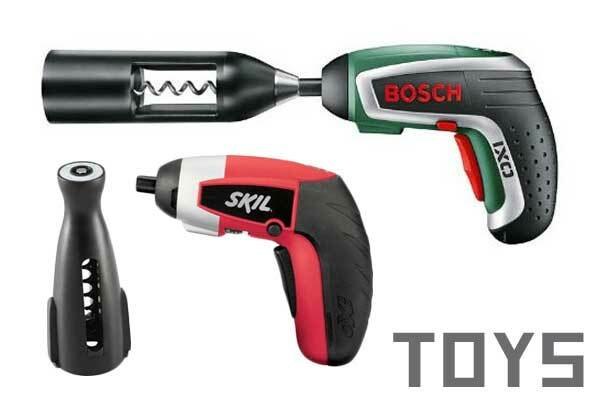 Take Skil’s cheap little iXO 4V lithium-ion driver, cut the pistol grip off it, and glue it to the front of a standard tubular flashlight, and you’ve got Skil’s #2350-01 “2-in-1 cordless screwdriver and flashlight.” Yes, it looks a little funny. But I won’t get bitten the same way I did when I expressed my disinterest in Black & Decker’s iXO-like driver a while back. See, I thought “Who would want a pistol-grip cordless screwdriver with an integrated battery and no variable speed?” Answer: Sean’s wife, who back then spent a lot of time opening and closing ATMs which have (wait for it) — about a million machine screws in them. She loved the idea of a sub-$40 driver that fit the bill fine for that simple task. Assuming the 2350 removes screws similarly well, I’m betting the flashlight would’ve come in handy for her. That said, the 2350 checks in at a little more than $40 — more like $50 to $60 based on a current Google search. Still, I can see some use cases for this. Just don’t imagine that it’ll have anywhere near the widespread application you’d get from something like a Bosch PS20 or other-branded equivalents. Update: It’s $37 at Amazon right now. Specs are similar to others you’ll see: 12,000-22,000 OPM (oscillations per minute) with a nice variable speed controller. It’s pretty heavy at 2.75 lbs, but do you really care for a corded tool? Skil’s Updated XBench: Simpler, Better? Remember Skil’s XBench? 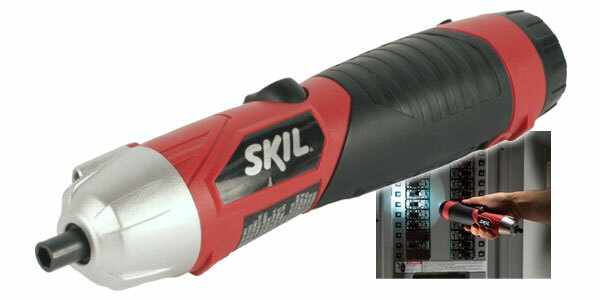 We wrote about it back in 2008 and to decent response, but it looks like Skil recently released an updated version that looks a lot more like Black & Decker’s industry-standard Workmate. In fact, it looks a whole lot like a steel and aluminum version of the X-Frame [What’s This?]. That isn’t necessarily a bad thing. Skil claims its version will support up to 440 pounds (versus the X-Frame’s 350), and the XBench looks more portable — like it’ll fold up smaller and weigh less. I definitely like the track-sliding work holders as opposed to the B&D’s, which install into just a few pre-drilled holes. Sandwiched between those pretty aluminum rails and the steel frame you’ll find good ‘ole MDF benchtops. It’s difficult to imagine a shop without a saw. 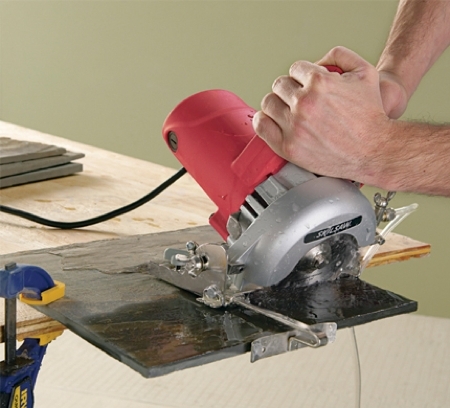 The 7 1/4” sidewinder circular saw is probably one of the first power tools other than a drill that will prove itself worth the money over time. However, you’d be shocked at the number of DIYers that don’t have this staple of construction — which makes it a great gift. An old standby if you’re not sure what brand or make to get is the Skil 5480. It bristles with 2.3 horsepower and is the standard sidewinders are built upon. 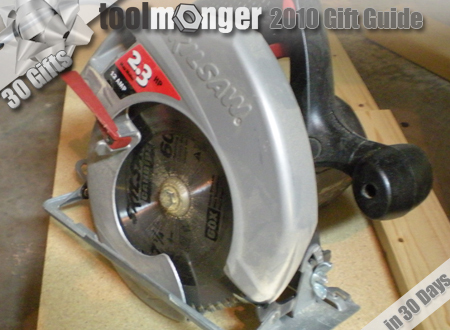 Anywhere between $40 to $50 will get one under the tree, and should your Toolmonger at home not have one there really isn’t a wood worker anywhere who will be displeased with a circ saw as a present. Which Contractor Saw Would You Buy? I made a stop at the local Lowe’s today to grab a wall box (and some drywall materials to fix the “other” hole I made before I found the right spot) and came across the above display in the tool corral. It made me wonder: If you were faced with this selection — from left to right: Skil’s 3310 for $140, Skil’s 3410 for $190, Porter Cable’s PCB220TS for $300, and DeWalt’s DW744X for $500 — which saw would you buy? And most importantly, why? 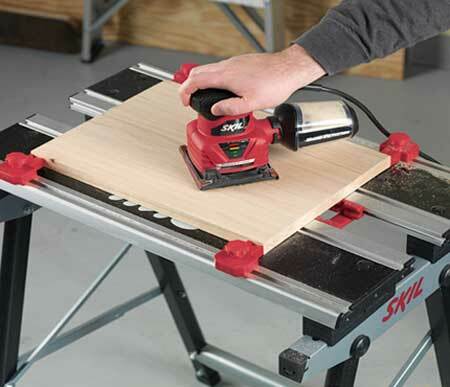 If you’ve been looking to pull the trigger on some inexpensive benchtop gear from Skil, Lowe’s may have your deal going on right now. 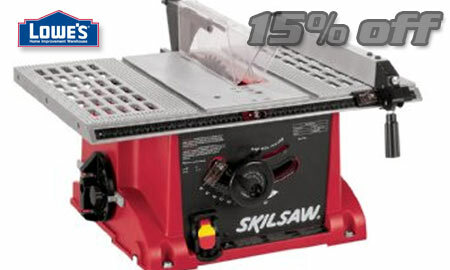 From now until the 14th of June, you can get 15 percent off select benchtop products like table or bandsaws. 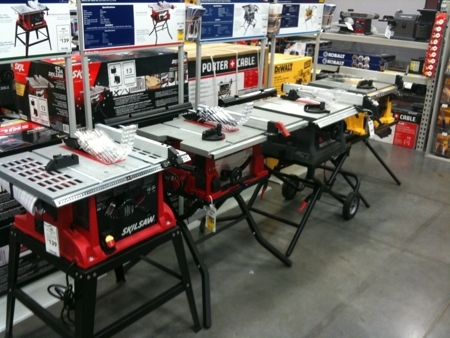 Sure, it doesn’t apply to everything they’ve got, but there are four or five models to pick from in the lineup and consumer-level gear is better than no or broken bench tools. Be it Father’s day or just because you feel like it, it’s not going to last long. This isn’t a rebate type of thing — they’re just knocking it off the top and moving them out, we suspect, for newer models coming in behind them. 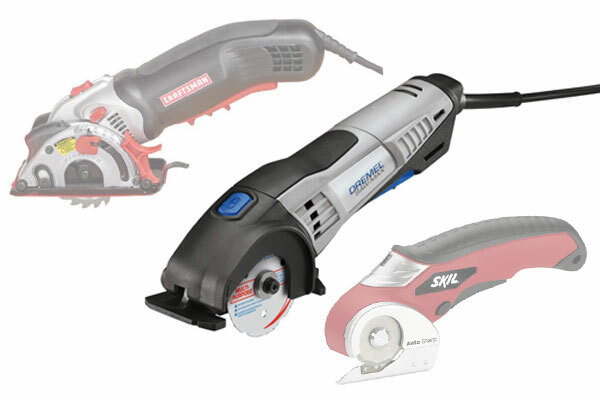 Skil continues its strong foray into flooring tools, recently releasing a 4-3/8″ hand-held wet tile saw. Before you scoff, check out the specs: an 11A motor, 14,000 no-load RPM, and an included 10′ water hose make this sound like a great entry-level saw — especially for someone looking for an inexpensive single-project tool.